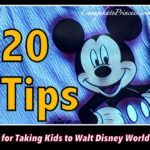 Guests can make room reservations 499 days in advance; you can do this at any time by calling Disney direct, or our Disney Vacation Planner, Mike Ellis, can do that for you free of charge while he helps secure all aspects of your trip. 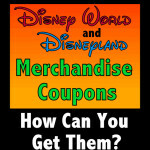 Click here to get that process started now! 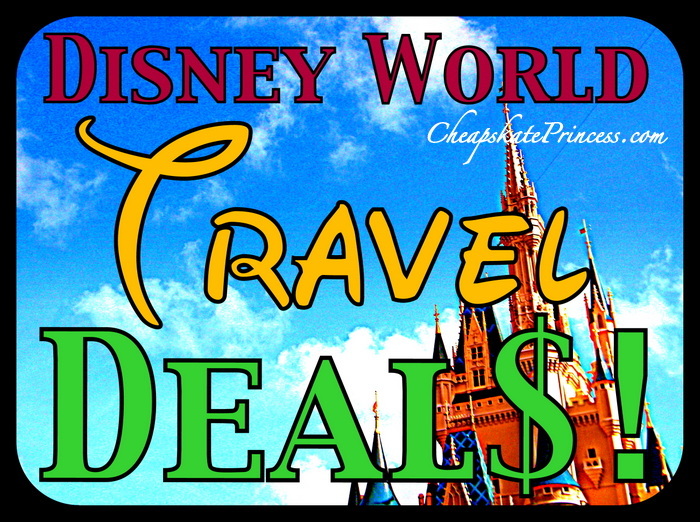 If you are looking for a travel packages, including room reservations plus tickets, or a room reservation with tickets and the Disney Dining plan, you have to wait for packages to be released. For 2019, those were released on June 19th. Whoop, whoop! 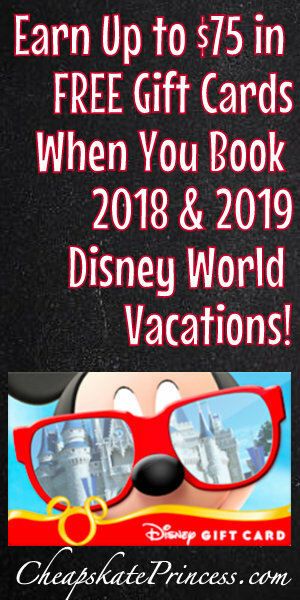 Booking in advance allows you to anticipate your Disney fun and adventure. Making plans up to 499 days out is a long time to dream and plan. Booking in advance can enable you to get a room at the resort of your choice. If you wait, it may too late to get the spot you want. If you plan to travel during the highly sought after holiday dates, booking early is almost a must do. Booking in advance allows you to pay off your vacation a little at a time, which means you don’t panic as you get closer to your travel dates. 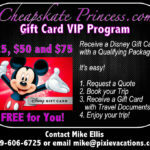 You can contact Mike Ellis, our Disney Vacation Planner with Pixie Vacations, using this link for a free no obligation vacation quote from Mike Ellis. You can reach him by phone at 919-606-6725 or e-mail him at mike@pixievacations.com. 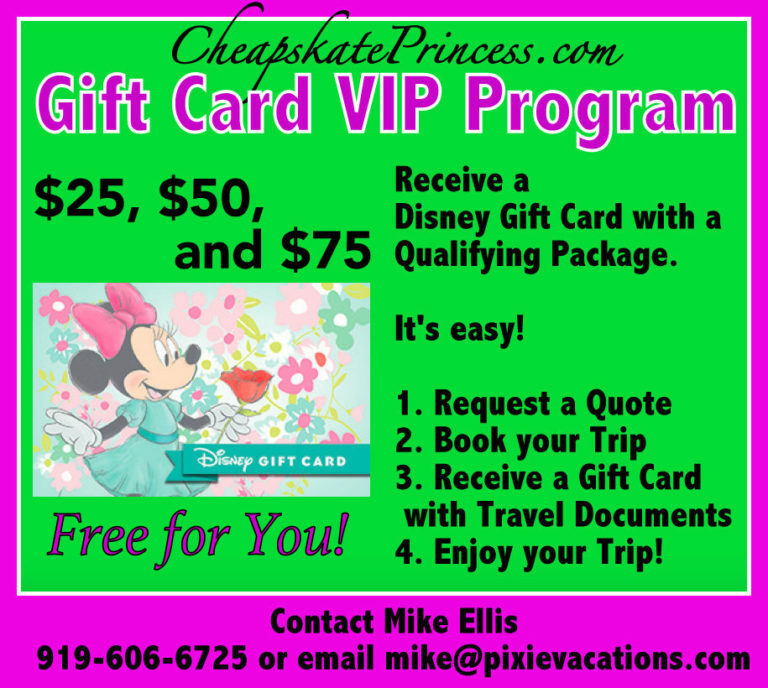 And Mike also offers a VIP Gift Card Program where you can earn $25, $50, and $75 gift cards for certain travel packages, and this program is offered 365 days a year, not just as a special promotion. 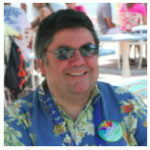 If you have a friend or relative who could use help planning a trip, Mike has a $25 Referral Program. The deposit to book your trip is just $200, and Mike will also monitor your reservations for any other promotions that can save you money. For some Free Dining clients this year, he saved them about $1,000 each! What are you waiting on? 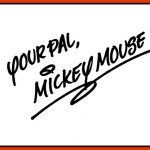 Get in touch with Mike today!